The Kabyle people are well known for their strong attachment to their ancestral traditions, for them people without a civilization and traditions are considered dead. Louziaa and Thimcheret are one of the traditions that still survive in the Kabyle villages. They represent the symbol of the Kabyle heritage that transmits through generations. On the occasion of the festivals and especially during the Mouloud El Nabaoui(the Prophet’s birth),Achoura , the eve of the month of Ramadan ,Yennayer, collective circumcisions or Eid Elfitr, most of the kabyle villages devote themselves to one of the most ancient Kabyle traditions, namely Louziaa and Thimcheret . Louziaa is done only in Eid Elfitr and it is the contribution (money) of all the families of the village to buy bulls, calves or sheep, and Thimcheret is done in the remaining occasions which are mentioned above where usually the patrons of the village are the ones who donate bulls or calves as charity. Both Louziaa and Thimcheret consist of the sacrifice of bulls or calves for the benefit of the villagers (citizens) of Thadarth (village) where everyone receives an equal share of meat, after reading Al Fatiha .During these big events, every villager has to help the needy through giving them meat for free. It is the day when the rich and the poor, without distinction share the same meal “couscous with meat”. Beyond sharing the same meal, it is an act of solidarity that brings together all the villagers without exception. Everyone feels that it has its place among his community. The celebration of these important humanitarian events which take place in a very warm atmosphere are prompted and exhorted by our religion. 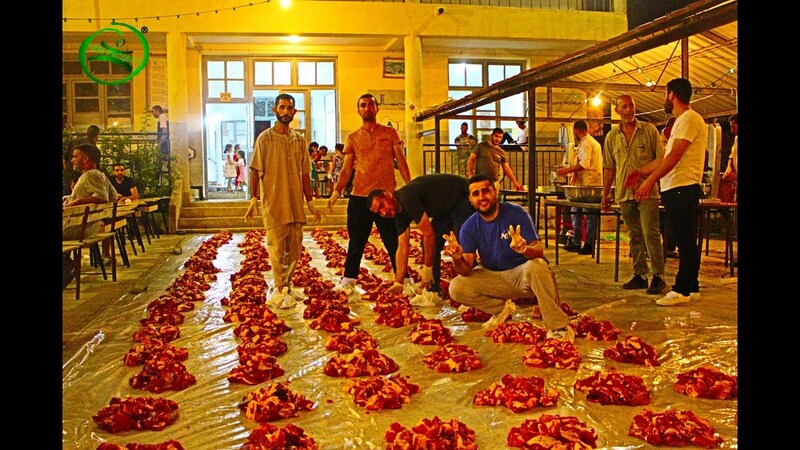 As a result, this sacrifice has become a rite in all the Kabyle villages because it strengthens the bonds of unity among the members of the Kabyle society and provides moments of joy for all the citizens. Indeed, indulgence, collaboration, happiness and tolerance, these are the aspects that prevailed throughout the day of Louziaa or Thimcheret, especially among children. It is a meeting of solidarity, forgiveness and sensitivity and also friendship where people from different regions meet and share these unique moments of joy. It is highly important to mention that during this precious moments, mothers take their babies during their first exit from home to the mosque to cut a little bit from their hairs for the first time ,bringing with them lesfnj (donuts) and makrout or thahboult (kabyle traditional cookies) and share it among all the villagers. However, this heritage that conveys our common values is beginning to be abandoned and this give way to other traditions that are not ours and that are harmful to our society , thus ,all the Kabyles should to generalize this ancestral practice and to resurrect and preserve it from falling into disuse.